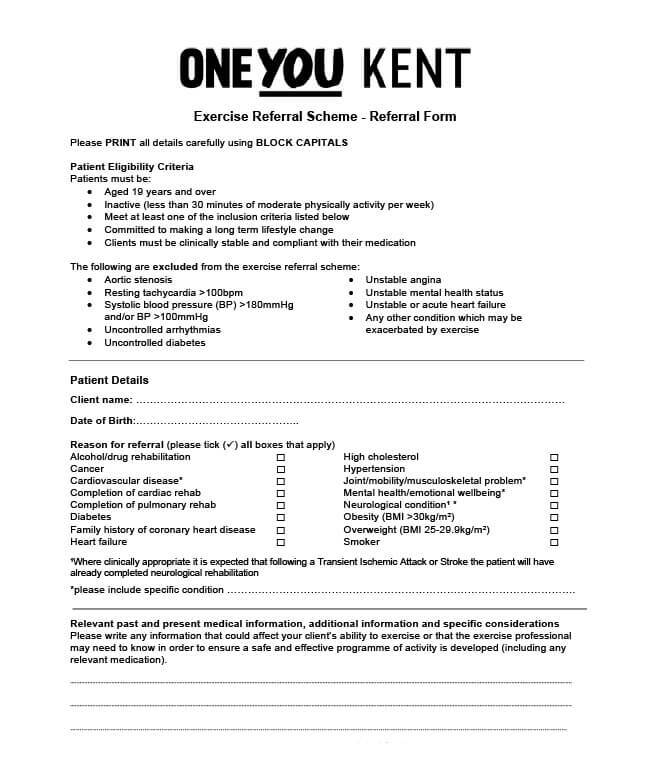 Referrals can be issued by any registered health professional such as: your GP, a consultant, physiotherapist, dietician, nurse specialist or a OneYou health advisor. Once the form* has been completed we simply ask that you deliver it to the Centre for verification. We will make contact with you to confirm and process your details before allocating you your personal instructor and arranging your first assessment.